If you are a worker in Los Angeles, CA and have been involved in a workplace accident and sustained an injury, you deserve some benefits to cover your medical bills and maybe replacement or lost wages. These benefits can also help your family to move on. When complexities arise, it is the right time to let a topnotch personal injury attorney well experienced in workers’ compensation cases in. To hire one in the city of Los Angeles, CA, you should come to us at Rawa Law Group. Residents know Rawa Law Group as a superior legal agency that has some of the finest personal injury attorneys in California and a combined experience of more than 55 years in the practice. We have assisted injured workers in getting the benefits they deserve and these benefits have run into several hundreds of millions. We give you detailed attention as we walk you through your case and keep you informed on it from start to finish. To keep you from making mistakes that would ruin your chances of success, we offer sound legal counsel at no hidden charges. You also do not have to worry about upfront costs when you hire us because we have you covered with even free consultation and case evaluation. Appointment hours with us are also flexible in case of clients with a very busy schedule. Our attorneys can go as far as making a home or hospital visit if you are immobile due to injury. California law requires employers to carry workers’ compensation insurance to protect workers who receive a work-related injury or illness. California also operates a workers’ comp fund for injured workers whose company did not have coverage. The workers’ compensation system provides injured workers with several types of benefits, including medical benefits, temporary or permanent disability benefits, supplemental job displacement benefits, and death benefitsfor surviving dependents. 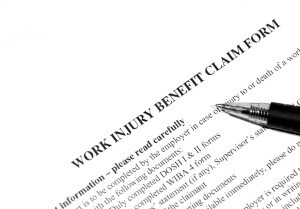 If you have been hurt on the job, you may be entitled to benefits under the workers’ compensation system. You do not need an attorney to file a claim, but an injury attorney can help your claim is filed properly and assist if you have a complicated case that may be denied. After getting hurt on the job, it’s important to inform your supervisor immediately or as soon as you learned of your injury or illness or believed it was caused by your employment. It’s vital that you report your injury as quickly as possible to prevent delays in receiving your benefits. You may lose the right to workers’ comp if you do not report the injury within 30 days and this prevents your employer from investigating the incident. 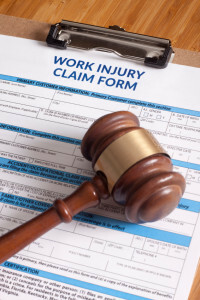 The next step is filling out claim form DWC 1 and giving it to your employer, who will open a workers’ compensation case with their insurance provider. Regardless of whether your claim is ultimately approved or denied, your employer must approve up to $10,000 in medical treatment while your claim is investigated. There is a presumption that your injury or illness was work-related if your claim is not denied or accepted within 90 days in California. Do You Need a Workers Comp Attorney in Los Angeles? It is not necessary to hire a lawyer to submit a workers’ comp claim, but it is a good idea to seek legal representation if you have a complicated situation, serious injuries, or a claim that has been denied. An experienced workers’ compensation lawyer in Los Angeles can ensure your paperwork is completed correctly, assist with gathering evidence of your injury to strengthen your claim, and represent you to appeal a denied claim for benefits. Most people do not need an attorney if they have minor injuries that do not require missing work or if the employer has already admitted the injury was work-related. You cannot return to your job. An injury that causes permanent or partial disability may make you eligible for weekly workers’ comp payments for life, but proving disability cases can be complicated and insurance companies routinely deny claims due to their high cost. Your settlement is not enough for your medical bills and lost income. Do not rely on a judge to protect you. If you are offered a settlement that will not cover your losses, a workers’ comp lawyer will represent you to pursue a fair settlement. Your claim was denied. Experts estimate that around 80% of injured employees automatically accept that their claim has been denied without appealing the decision. Insurance companies count on this fact to keep costs down. Your employer has retaliated against you. While illegal, some employers retaliate against injured workers by cutting their hours or even firing them. You receive Social Security benefits. A settlement that is not structured properly can make Social Security entitled to your workers’ comp benefits. You think you have a third party claim. You can pursue additional compensation against a third party whose negligence contributed to a work-related injury. While studies have found that the vast majority of workers’ compensation claims are legitimate, insurance companies often deny claims that raise red flags. You cannot control the circumstances of your injury and it is not your fault if no one witnessed your accident or the insurance company has denied your claim. If you were seriously hurt at work or your claim has been denied, a workers compensation attorney in Los Angeles can help you protect your rights and seek the benefits you deserve to help you recover. Contact Rawa Law Group for a free consultation with an experienced workers comp lawyer in Los Angeles to discuss your case. If you want to maximize your claim, hire a topnotch workers’ compensation attorney in Los Angeles, CA at Rawa Law Group.